Wiener Laboratorios Saic provides products focused on clinical and specialized laboratories as well as blood banks. Its varied range of products comprises kits and analyzers for clinical chemistry, hematology, coagulation and immunology assays. 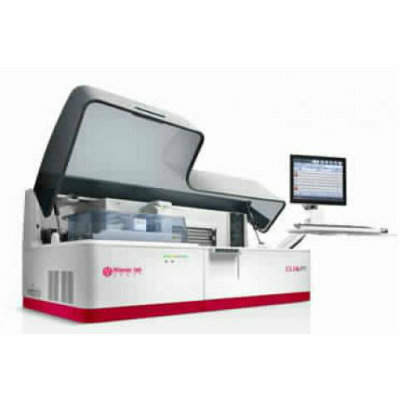 The CLIA 1000 chemiluminiscence immunoassay system has a throughput of up to 180 tests/hour and offers continuous sample loading and offloading by sample racks. Other features include a capacity of up to 60 samples per batch, steel probes, liquid level detection, clot detection, and horizontal and vertical collision protection.